One click carnage reporting made easy! Gift for Thais ready for Songkran! 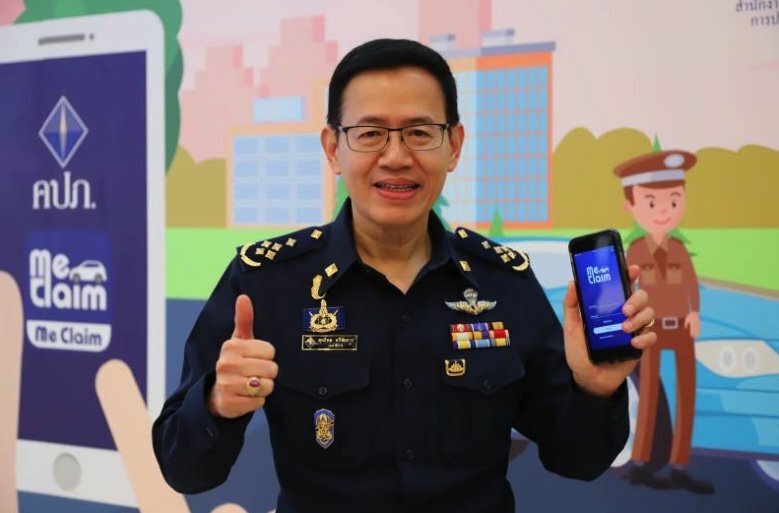 A new application that connects insurers and the police was hailed by Daily News as a "gift to the Thai people". "Me Claim" is now ready for Songkran. If you have an accident just press once - insurance and the cops will be informed in one convenient click. With the upcoming festival expected to feature the usual carnage on the roads clearly "every little helps". The app "Me Claim" is the idea of the Office of the Insurance Commission in cooperation with the Royal Thai Police. Their "Police i LERT u" application will now be fully connected at the press of a button. The application is said to help in claims in accidents involving poor visibility due to the PM 2.5 crisis in particular. unfortunatley this will not be used very much as it needs the vehicle to be actually insured in the first place ! So long as you haven't been thinly spread across the road ..
Their﻿ "﻿Police﻿ i LERT u" application will now be fully﻿ ﻿﻿connected at the press of a button. Will Plod have " ok u PAY " response button before getting their 'arris's .. Seeing as it is targeting Thai drivers I suggest the name be changed to ..........me,me,me,me,me,me,me,me, claim.